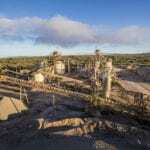 Resolute Mining has implemented a gold hedge following sales of 72,000 ounces of gold at an average price of $1715 per ounce, representing a premium over its budget $1600 price. The gold is due to be delivered over a period of 18 months at 4000 ounces a month from December 2017 to May 2019. 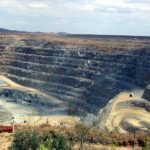 The funds will be used to support the Ravenswood expansion project in Queensland — the news follows the announcement in September 2017 of Resolute’s forward sales of 84,000 ounces at a price of $US1330 ($1745) in support of the company’s flagship Syama underground mine development in Mali. 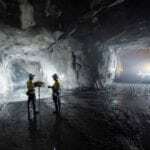 The company also completed a feasibility study for a third mine in Ghana in June 2016, the Bibiani underground gold mine. 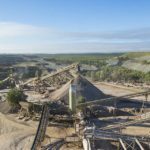 “Our development plans at Ravenswood are supported by Australian dollar revenue and exposed to Australian dollar costs,” said Ravenswood managing director and chief executive officer John Welborn. Resolute’s total hedge position now represents roughly 30 per cent of expected gold production for the next 18 months.